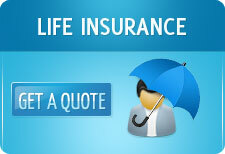 Typically, a life insurance policy has two components- protection and savings/investments. IRDA , through their latest guidelines on ULIPs have ensured that the various charges on the savings/investment component of the life insurance policy will become cheaper. But now, a further change is on its way which will benefit policyholders- the mortality charge , ie the premium that a person pays for the life cover- might also reduce. In India, mortality charges have primarily been defined by the 1994-96 LIC table. For example, the probability of death of a 40 year old was taken as approximately 2 per thousand while that of a 60 year old was taken at about 13 per thousand. Since then, life expectancy has gone up . Data has been collected from LIC and the private insurers and this has been submitted to IRDA. Actuarial departments indicate that the death rates may have come down by 20-25 % in the higher age bracket. This might lead to a reduction of 15-20% in the mortality charges. The new tables has been prepared and takes the variables of gender , age and geography into account. Earlier, the tables only considered gender and age. The reduction in mortality charges might not be uniform across segments. Our view is that premiums for younger people will reduce more, for middle aged people it would be less changed, and the jump in premium that we used to see for higher age brackets would reduce. The impact of this reduced charges might be seen most in pure term policies. However, many private insurance companies had started following their own mortality tables and had reduced the premiums for pure term policies aggressively. In the light of the new change brought about by IRDA where life insurance policies have a minimum sum assured of 10 or 7 times the annual premium, this impact will also be felt on the ULIPs which are extremely popular in the market. For traditional policies, the impact could be in the form of a higher declared bonus rates. Is LIC India’s most valuable company?